In a bid to banish stereotypes of late-night greasy fast food, Turkish chefs are trying to burnish their image by showcasing the culinary riches the country has to offer. A new breed of cooks has shaken up the Istanbul food scene with an innovative approach to Turkish cooking, while others are on a mission to show there is more to the nation’s cuisine than the perhaps notorious döner kebab. For many outside the country, Turkish food brings to mind images of pitta bread stuffed with shavings of meat roasted on a vertical spit, usually consumed after a heavy night of drinking. The döner was brought to Western Europe by the Turkish diaspora, especially those in Germany where additions like salad and mayonnaise have made it a heavier meal than in Turkey. But did you ever try karnıyarık, a dish of split aubergines with a meat filling, or çılbır, poached eggs in garlic yoghurt? Ever heard of tulum, a traditional cheese ripened in a goat’s skin, or a dessert called cezerye, caramelised carrot with coconut? “Turkish cuisine is largely known abroad through döner and kebab,” said Defne Ertan Tüysüzoğlu, Turkey director of Le Cordon Bleu, an international culinary academy, which started in Paris and now has campuses all over the world. “Turkish cuisine is not well known,” agreed Aylin Yazıcıoğlu, executive chef at Istanbul’s Nicole Restaurant. 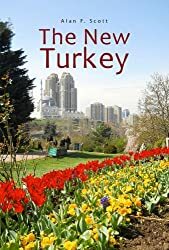 “The food that comes to mind when people talk about Turkey is, unfortunately, all bad examples. We see this changing slowly. We’ll do our best to change it. At Nicole, diners are offered a multicourse tasting menu of local products aimed at showing off the best that Turkish cuisine has to offer. “I believe that in a world geared toward the ‘local,’ we’ve started to understand the value of our cuisine. We’ve started to realize the value of our products,” said Yazıcoğlu. “In our country, everything is available throughout the four seasons,” she added. Turkish food, she said, has much to offer and needs to promote its greatest assets, such as olive oil. But to truly change perceptions, more work is required. “I can say there’s been a movement but it would be very strong to talk about a revolution. The conditions are not yet ripe for a revolution,” she said. Arnaud De Clercq, who has taught at the Istanbul branch of Le Cordon Bleu for the past two years and has worked in Michelin star restaurants in France, described Turkish cuisine as “very rustic” with its focus on sauces, ragouts and stews. “It is close to the traditional French cuisine: beef bourguignon, veal blanquette, lamb navarin – all this you can find here, but a bit different,” he said. He singled out Turkish meze, the selection of small dishes served as an appetizer at the start of a meal. Turkish chef Serkan Bozkurt from the Chef’s Table Culinary Academy, an Istanbul-based cooking school, said perceptions about Turkish cuisine were changing. Today, he said, Turkish restaurants and cafes were blossoming in Europe, with chains like the bakery Simit Sarayı and the Kahve Dünyası coffee shop opening up in London and other places. The somewhat limited perception of Turkish food overseas, the cuisine has a wide variety of regional differences, with specialties from the western Aegean differing sharply from those in the eastern Black Sea region. Antakya in the southeast has a rich culinary heritage inspired by Aleppo in Syria, while specialties on the Black Sea include dishes such as muhlama, an unusual fondue made with corn flour, butter and cheese. In a huge country, which spans 784,000 square kilometres, an area bigger than Germany, Poland and Austria together, the cooking styles are very varied, from the herbs and vegetables used in the Aegean, to the meat-dominated specialties of the east, Bozkurt said. Its cheeses alone are likely to impress; Turkey has dozens of varieties, which differ sharply from region to region, he said. “I always say if a week-long cheese tour was organized in Turkey with trips to its seven regions, people would get dizzy! Turkish cuisine is not confined to meat and kebab,” he said. This entry was posted in arts and culture, treasures of Turkey, Turkish culture and tagged Turkish cuisine. Bookmark the permalink. You are making me hungry! Now I will admit I had once heard that you’d not want to be in any Turkish prison (movie talk) so that WAS my prejudice at one time – now it’s gone. “Midnight Express” I guess. That was actually made in Malta – and the guy whose life it was based on later admitted it was mostly fabrication. Still, you probably wouldn’t want to be in prison anywhere if you could help it. Billy Hayes was actually caught smuggling drugs too, so . . .